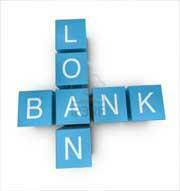 It is our pleasure to help you find a source which can help you concentrate on your studies rather than finance matters. Our counselors will keep searching and will guide you in applying for a scholarship program even after your enrolment into the University/College. 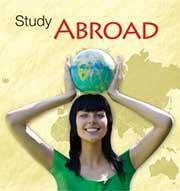 For your information we did posted some information on Scholarship programmes in respective countries. We have developed a comprehensive Pre-departure Guide for international students to help you prepare for your new life as a student. .Most airlines allow international passengers to check two bags and bring one bag onboard the flight. The weight limits for checked bags ranges from 20 to 70 kgs each and usually there is a size limit as well. If you bring luggage that exceeds your airline's weight or size limits, the airline will charge you a penalty for each leg of your trip. .You'll have to carry your own bags everywhere, so be sure that you can carry your entire luggage comfortably. .A backpack is a great idea, but be sure you can wear it comfortably. Be sure to try on your backpack before buying it better don't buy through a catalog or online. .Don't feel that you have to fill up your bags. .Think about the climate in your home country, read your Predeparture newsletters and preparing to Study abroad for more information. 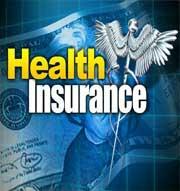 Health and accident insurance is a must for every Student travelling abroad. Keep all the documents in a safe place and have a scanned copy of those documents. It may be necessary to contact insurance agents while abroad, so keep all relevant names, phone numbers, and policy numbers in a safe place. Before leaving to any country please make sure that you go through the site to assess all the risks that a foreigner faces. The respective departments will update and upgrade the information regularly depending on the political situations. Geared to your own travel style and itinerary. 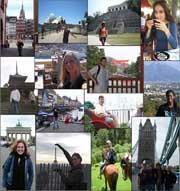 Student-oriented guidebook series include Let's Go, Lonely Planet and Rough Guides. Photocopy your passport, plane ticket, traveler's checks, rail pass, credit card numbers, and prescriptions. Take one set of copies with you and leave another set in your home country. The telephone calling prepaid card can be used as a phone card. Better have one depending on the country you are travelling. Make a reservation for your travel aboard well in advance and get information on traveling to and from the airport that relieves last minute hurry. If you exceed the concession limits set out above, Australian Customs Service will charge you the duty and tax on the purchase/importation of items. To find out more about duty free allowances for arriving passengers and other Australian customs regulations, visit the ACS website at www.customs.gov.au/site/page.cfm. To find out more about duty free allowances for arriving passengers and other UK customs regulations. When preparing for your experience abroad, keep in mind the visa information and packing tips included in this section. To find out more about duty free allowances for arriving passengers and other Germany customs regulations. To find out more about duty free allowances for arriving passengers and other Canada customs regulations. To find out more about duty free allowances for arriving passengers and other New Zealand customs regulations. Get Visa Guidance From Experts, We offer you the best Visa Guidance, you will be notified about the process that happens after filling up of Visa application and will be trained accordingly. During the interview with the Visa Officers you have to have clear voice, clear information and clear understanding of the question asked by the Officer. You will not get a second chance or change your answer. Their decision is final and Visa Officers are of Multi-talented. They know what a student is speaking and whether the student is really going to study. There is an every chance that some of you know but cannot express, here our counselors play a role in bringing out your ability. This is one such information which plays a major role in getting a Visa. As we cannot speak or meet any Visa Officers, this is the only way and only medium that tells about our strengths in getting a Visa. Every student has to understand what the Embassy wants and what the student has, which is possible only when the Documentation Part is filled in with your own hands. Our Counselors will explain and assist you in better Understanding and Filling up of Visa Application form. 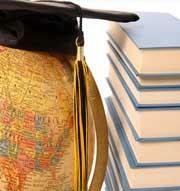 Admission to a particular University/College comes in only when the preferred Course and the Institution is finalised. In this aspect our Senior most and Well Experienced Counselors will play a major role. The Academics you successfully completed. The most important subject that gives you the edge. The interest that you show about the place of study. The financial capability of your parents. 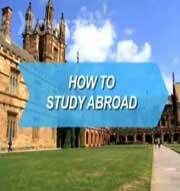 The circumstances that made you to study abroad. The circumstances that made your parents to send you abroad. These are the points that look simple yet very powerful in making you a successful student, son and a citizen. The step that you take now will turn around your future in view of Career and Income.